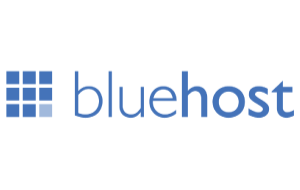 BlueHost.com is a strong hosting competitor, with over two million sites served and monthly packages that have a number of well priced inclusions. This hosting provider also utilizes one click add-ons to allow clients to further customize their website experience. BlueHost.com includes affiliate programs for referrals, which can allow self-employed and private website builders to gain financial benefits while promoting their brand. The company has a strong customer centric attitude with good technical services that are open source and cloud based to provide cost effective website solutions for more than a decade. Along with the affiliate program that helps customers earn money while managing their webpage, BlueHost.com also has affordable packages for secure cloud based hosting. This gives clients the choice of shared, dedicated, wordpress, VPS, and reseller hosting services which can benefit business enterprises and individual goals. Unlimited domains, storage, email accounts, and websites are also offered through BlueHost.com, and security measures such as certificates and automated back ups are a further plus. BlueHost.com is strongly focused on scalability, so businesses can add one click options as the need arises. This also includes an intuitive take on the cPanel for good customer management of files, and the ability to make instant changes that can be immediately published. Further organization of this tool also lets clients take care of website management through email access and analytic returns from the same control page. This is highly oriented towards small business growth and marketing. Spam protection and domain privacy are included in optional additions, making the BlueHost experience very customer oriented. Technical support and practical guidance is also available at all times, and may be accessed by email, online chat, or by phone. BlueHost.com has a strong track record with 99.9% uptime for the websites it serves and good technical provisions and support. As a cloud based provider, back-ups and updates are run automatically so that data files are protected and secure. Security certificates are also an option for clients who wish to run ecommerce, and server encryption further reinforces the strengths of this host. One click installations allow for drag and drop website design. Templates and scripts are also available as are video tutorials and customer service guidance on creating a functional site. Different hosting options give customers a number of resources for creating their pages. The wordpress hosting choice includes select templates and themes, along with plug-ins to facilitate the creation of text content, video, and image files that can be published. BlueHost.com allows for better individual customization and management that gives clients a chance to express professional and personal attitudes. BlueHost.com has good provisions as a web host with a number of cloud based server options to suit different needs and levels of security. The focus on business promotion and customer service can make it an ideal host for start-ups and online businesses, while affiliate programs allow for incentives with personal web builders. BlueHost.com is a pioneer in server technology and networking uses, which make it very reliable and still easy to work with. Godaddy are good value, support is always available but not as accessible as some as its buried in a overlong call automation process. We specialise in client site optimization using Localadworks SEO platform, so in the course of that we use a LOT of different hosts, without a doubt siteground is my personal choice. Not everyone is as happy as myself with BlueHost server performance in 2014. I thought you might want to read more about the two major outages occurred in 2014 here and here . The 24/7 support that this hosting service offers lets me know that no matter when I may have a problem, there will be a professional on hand to help. One of the greatest traits of BlueHost.com is that there really aren’t any hidden fees, and what you see is what you get in terms of pricing, something not always found with all hosting sites. The pro plan price was very affordable, and I liked that it offered all of the perks of the basic plan plus some added features like a dedicated IP. All of the different templates that BlueHost.com had available let me be creative in building my own site, and with little experience I still found the entire process to be very easy. The migrating services offered by BlueHost.com were actually seamless, and well worth the price I paid. I was worried about switching to a new host, but they put my mind at ease. I was able to transfer my old domain easily when I switched to BlueHost.com, and I’m paying less for more features than what my old hosting service offered. Setting up my website was beyond easy with the 1 on 1 styled tutorial. I don’t have much experience in the world of website building and I was left feeling confident that I could create a successful business page! The advertising credits included with my purchase let me advertise my site on Facebook and Google almost immediately after it was built, and I started seeing a spike in traffic right away! The tutorial was quick at only 45 minutes, but it told me all I needed to know about building, managing, and keeping up with my page. I’m definitely impressed. I am really pleased with the basic plan membership so far, especially since it allows me to have unlimited domains. I can access all of my business related pages from the same convenient central account. The customer service contact options give me a choice in how I want to be helped, and in every experience I have had the staff has remained professional and able to answer all of my questions adequately. Help us to help others by leaving a short review. What was your experience with BlueHost?